Microsoft has just announced a bunch of info on Halo 4, including details of the game's Limited Edition, its DLC pass for multiplayer maps, and 'Specialisations' - the new-fangled way 343 Industries is hoping to keep you invested online. First up is 'Specialisations,' something 343 hope will rejuvenate your multiplayer experience in Halo 4. Specialisations are classes that unlock once you hit level 50. They effectively raise the level cap by allowing continued investment in the abilities of your chosen class. There are eight Specialisations in Halo 4 in total. “As you level up through these dedicated paths, you will earn a bristling arsenal of combat-enhancing armour mods that provide even more options to customise your Spartan-IV to fit your preferred role on the battlefield,” says the blurb. The Wetwork and Pioneer Specialisations are available to everyone once the game launches in November, while the remaining six are available by pre-ordering at GAME or Gamestation stores. 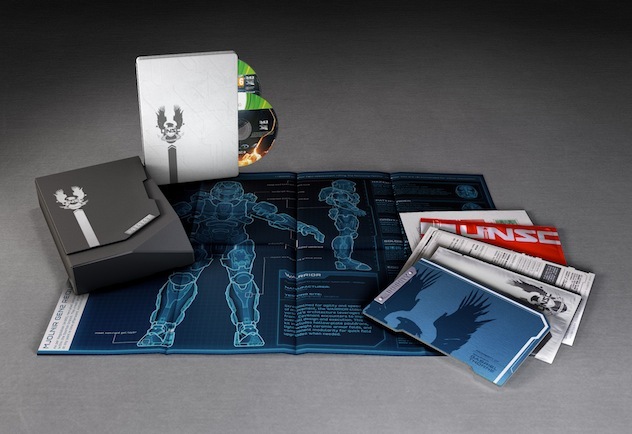 Below you will find listed all of the contents of the Halo 4 Limited Edition. It costs £69.99 ERP. Halo 4: Forward Unto Dawn Special Edition – An extended 90-minute version of the live-action digital series that will bring the “Halo” universe to life as you’ve never seen it, providing an enthralling backstory leading up to the events of Halo 4. War Games Map Pack Access – The Limited Edition includes access to nine maps – three future competitive multiplayer map packs, each including three locations, otherwise available for download post-launch on Xbox LIVE. UNSC Infinity Briefing Packet – Includes an armour customisation schematic, a blueprint of the massive ship itself, and insight into what it means to be one of humanity’s finest warriors: the Spartan-IVs. War Games Map Pack Access can be purchased separately for 2000 MSP. Available from launch, it's a DLC Pass that includes access to nine competitive multiplayer maps (three future War Games map packs, each including three maps). Offering a 15 per cent saving compared to purchasing each of the add-ons individually, the pack also includes the in-game exclusive items; the Spartan-IV “Scanner” and “Strider” helmets, and the “Falcon” in-game emblem. Halo 4 is out on November 6th. The Halo 4 Achievements were just listed on Waypoint. Some gems include solo'ing campaign on Legendary difficulty, changing your spartan's pose, and completing 25 challenges. They range in difficulty a fair bit, but some should be extremely quick to grab. For a buttload (yes, buttload) of spoilers, check out http://www.ign.com/articles/2012/09/03/new-halo-4-trailer-leaks-story-spoilers. In the old days, we used to just toss our cash upward into the wind, wait 3-5 business days, then find a game waiting on our doorstep. 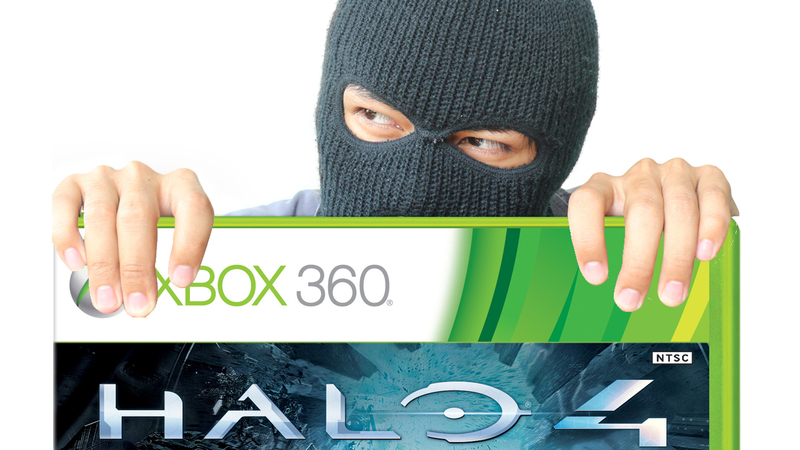 Today, retailers compete for your gaming dollars with pre-order incentives, and Halo 4 is the latest to play into that retail shuffle. Depending on the retailer you hitch your Warthog to, you'll snag some very different things: Amazon will offer a golden "web" skin for use in multiplayer and a pair of exclusive emblems, while GameStop will offer the customizable "forest" skin for multiplayer. UK retailer GAME is tossing in the blue circuit armor skin, an arctic weapon skin and six specializations - these are further cosmetic tweaks to help you stand out from the rest of the cybernetic crowd. Other specific UK retailers have their pre-order items listed past the break, like Blockbuster (you guys still have those over there?). And if you're really looking to buy everything with Halo 4 printed on it, thesoundtrack and special editions are also tempting offers. Halo 4 launches on November 6 worldwide, exclusively for the Xbox 360. So apparently the game has been leaked already. Microsoft has confirmed the details of Halo 4’s "War Games Pass." Purchase the pass and you’ll be able to access War Games’ three map packs as soon as they become available, in December, February and April. Doing so will save you around 15%, compared to individual purchases. In addition to this, those that buy the War Games Pass will receive two bonus in-game helmets (‘Scanner’ and ‘Strider’) and a unique in-game emblem (‘Falcon’). Here’s Microsoft’s description of the map packs, along with a tentative release window. This will be the 1st Halo since Halo 2 I haven't purchased on day 1. I just have way too many games I haven't finished, and more inbound for the Holiday season. Maybe someone will get it for me for Christmas. 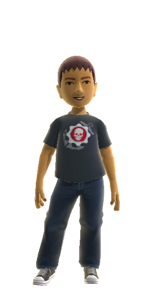 Microsoft’s latest Xbox Live Rewards scheme is offering Microsoft Points to those who put in time with Halo 4’s multiplayer. If you play for over 35 hours you will be rewarded with 100 MSP, while playing for over 70 hours nets you 300 MSP and 140 hours offers up 600 MSP. In addition to this you can also get refunds for MSP spent on Halo 4 content. Dish out 1500 MSP and you’ll get 100 MSP back, while spending 3000 MSP will earn back 200 MSP. You can also get 800 MSP back by spending over 3000 MSP and playing over 35 hours of multiplayer combined. The offer runs until November 30th, for all Microsoft Rewards members. As much as I love "free" points, I'm sure I'll make more money by just waiting a month or two and picking it up used (or in trade). Microsoft has released some sales details for Halo 4 and they’re predictably impressive. According to the platform holder, the 343 Industries developed sequel made $220 million worldwide in its first 24 hours on sale, making it the biggest entertainment launch of the year to date. “Biggest entertainment launch” is a tricky term. The example being cited is that in the US alone Halo 4 out-performed both The Avengers and Harry Potter and the Deathly Hallows: Part 2. But that’s not entirely surprising. A game is considerably more expensive than a movie ticket. Despite this, Halo 4 is performing particularly well, with Microsoft claiming the shooter is on track to reach $300 million in its first week. In the game’s first five days players racked up 31.4 million hours of play time while the Halo franchise has produced over 5 billion hours of play to date. All this comes despite Halo 4 faring less well at launch than both Halo 3 and Halo Reach. There’s also the small matter of Call of Duty: Black Ops II. I’m sure Activision will be making similar statements of success in the coming days.